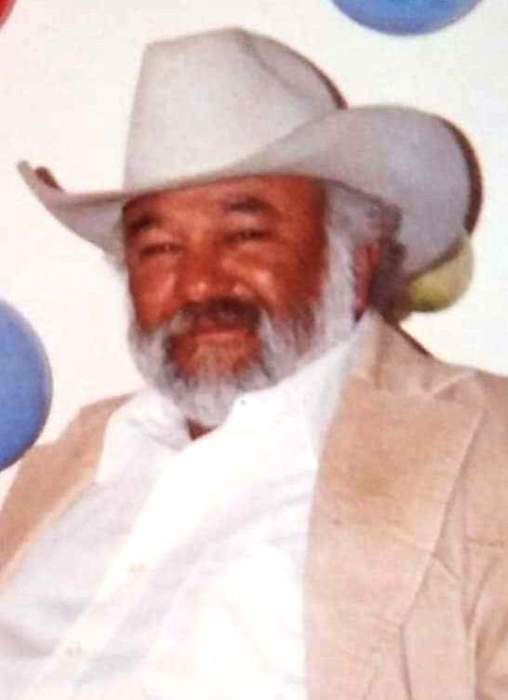 Jose Cruz Olivarez, Sr, 78, of Spur was reunited with his wife, Sue in heaven on Monday, January 21, 2019. Rosary will be held at 7:00 p.m. Thursday, January 24th at Zapata Funeral Home in Spur, TX. Mass will be held at 2:00 p.m. Friday, January 25th at St. Mary’s Catholic Church with the burial at Spur Memorial Cemetery under the direction of Zapata Funeral Home. Cruz was born May 2, 1940 in Robstown, TX to Esteban and Guadalupe Olivarez. He married Sulema Garza Olivarez on December 6, 1961. Cruz and Sue made Spur their home in 1974. Cruz provided many services to our community over the years. He owned and operated Quality Cleaners, servicing our local community and surrounding areas. Everyone was greeted with a warm welcome and left with a story or a joke that he would share. Not long after, he and Sue opened up Los Olivarez Café. Providing delicious Mexican food to many families to enjoy for over 20 years! Sue was cooking up the good stuff (of course), as Cruz would visit with the customers, both inviting all to come again. Between the two Cruz and Willie Ortiz, Sr. opened up C&W Rock Arcade. This gave the kids in our community, a safe haven to go to and have some fun and the parents a peace of mind that their kids were safe. In addition, Cruz worked in construction as a Project Concrete Finisher in various locations in Texas and also worked in Arizona. Cruz was a long time member of St. Mary’s Catholic Church and was also a member of the Knights of Columbus. We believe that my Father’s legacy is us, his children! In everything that he taught us, from the love that he and our mother gave us, to respecting and treating others, as we want to be treated. To working hard and teaching us the value of hard work and the ethics and morals that he lived by. He was a good and honest man that you could trust and count on to help you if you called on him. He would give you advice to help guide you and never judged. He was one that you could stop and visit with for hours and lose track of time. He knew no stranger. He is preceded in death by his parents Esteban and Guadalupe Olivarez and his siblings Jesus, Manuel, Francisco, Esteban Jr., Mary Socorro Torres, Lupita Velasquez, Otomie Gill, Tonia Vasquez. In addition, by his wife Sulema Garza Olivarez and daughter Magdalena (Maggie) Olivarez. Survivors include Children Eugene Solis of Whitney, TX; Steve Olivarez of Spur, TX; Cruz Olivarez Jr. of Spur, TX; Priscilla Garcia of Arlington, TX; Lisa Olivarez of Spur, TX and Yolanda Adams of Spur, TX; Thirteen Grandchildren and Nine Great Grandchildren. In lieu of flowers, memorials may be made to Spur Memorial Cemetery.